Did you know that the pomegranate has been a symbol of love and fertility as far back as ancient Greece? If you’re looking for an appropriate Valentine’s Day treat, you couldn’t get much more appropriate – and pomegranates aren’t the only fruit with a story to tell. Other berry meanings include raspberries (kindness) and strawberries (modesty, perfection, and “sweetness in life and character”). If that sounds like anyone you know, you might want to treat them to a taste of this simple but delicious smoothie. You can use any type of berries you want – you don’t have to go for the symbolic ones, although they do add a romantic touch. You can also choose between almond and coconut milk. If you’re using almond, though, make sure you check the ingredients on the carton and make sure everything is fine (many brands are full of sugar). Alternately, you can make your own, or just rely on coconut milk. 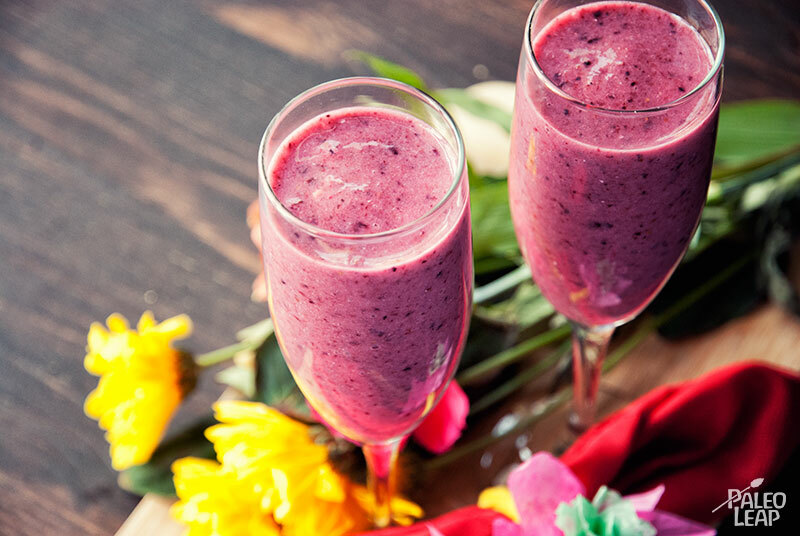 Of course, smoothies like this aren’t a great everyday breakfast option, since they’re fairly high in sugar and don’t have any protein (although the coconut milk does supply you with some healthy fat). But as a treat, there’s nothing wrong with them, especially if you serve your smoothie with some eggs or another healthy protein source. In the context of a healthy diet, a smoothie or two every once in a while just won’t do any harm, certainly not enough to pass up on a cute and playful way to let someone know you appreciate them. 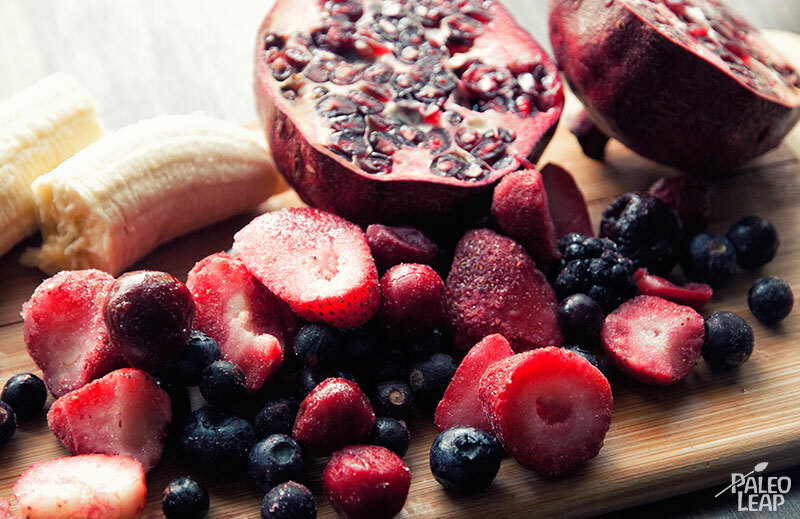 Add the almond milk, frozen fruits, and banana to your blender. Blend until the smoothie reaches your desired consistency. If it’s too thin, add more fruit; if it’s too thick, add more almond or coconut milk.